Vasavi Jayanthi is on Tuesday 28th, April in 2015. 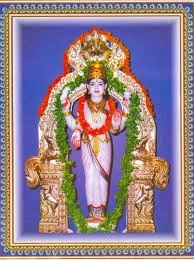 Vasavi Jayanthi is observed on the tenth day of Vaishaka month. Vasavi also called as Kanyaka Parameswari, Vasavamba, Nimishamba. Goddess Vasavi is incineration of Goddess Parvathi. Goddess Vasavi Maata is worshiped by Arya Vaishya communities. Goddess vasavi was born in Penugonda, West Godavari to Vaishya King Kusuma Bhupathi and Kusumamba. Vasavi Since young age prayed to Lord Shiva. Vasavi Devi at young age prayed Lord Shiva for wealth to help the people from coe dept. King Vishnu Vardhanudu wants to marry Vasavi and he sent his minister for proposal and Vasavi rejects the marriage. King Vishnu Vardhanudu got angry and calls for war. To avoid war Vasavi enters into the agni along with 102 families enters into agni to attain moksha. Vasavi enters into agni to prove aahmisa.